Southwind Villa is a three bedroom beach front property with a beautiful big inside patio fully secured, directly on the tropical white sands of Gibbs Beach which hosts 3500 ft² of spacious living, great for friends and family. All three bedrooms come equipped with air-condition, ceiling fans and en-suite bathrooms. The master bedroom has it's own little charming patio. Living room, entrance and dining area are elegantly furnished and from the living room you have access to a very nice Garden room with bar facilities, fridge and powder room. Enjoy the beautiful sunsets on the west coast of the island from the covered outside Dining area or the large open patio where you can find BBQ Grill, beach chairs and a garden shower. A gate opening directly onto the tropical white sands of Gibbs Beach. The rental property is self-catering with daily maid service. Bathroom Nº 3 has access from Bedroom 2 and 3. Outside shower in the patio. Two weeks of bliss in this fabulous villa for my wife and I, our two children and my mother. Very good communication with the Property Manager, Ursula Mantler, who couldn't have been more helpful. Elsa, the housekeeper, is sweet and kind and an absolute joy to have around. She kept everything shipshape, clean and tidy. The villa is bigger than we'd expected with plenty of space to spread out and good facilities. The aircon in the bedrooms works well. Security is good. Gibbs Beach, literally on the doorstep, is unbelievably beautiful and quiet and the clear blue sea is better than a swimming pool. We'll definitely be back. Great house, right on the beach at Gibbs, perfect for our 2 week family holiday with our 7 and 9 year old children. Plenty to do on beautiful Gibbs beach, with swimming, snorkelling, jet skis etc, and stunning sunsets, all on your doorstep at the end of the garden. We've been to Barbados many times before but this is easily the loveliest house we've stayed in, with a super helpful housekeeper and manager. Also much more spacious than we'd expected from the listing, clean and well maintained. We will be back! Great to be ON THE BEACH !!! We have been coming to the Gibbes area for three years now but this was our first rental on the beach. It was amazing !!!! To be able to wake up and see the Caribbean Sea while having our morning coffee was indescribable. There was no "going to the beach" because we were already there. Sunsets were something we looked forward to every night while sipping our gin and tonics. The bedrooms and bathrooms are clean, roomy, and comfortable. We slept with our bedroom door open and enjoyed the sound of the waves. There is a lovely outdoor courtyard with plenty of comfortable loungers for reading in the shade or for tanning in the sun. The kitchen has everything needed for preparing meals. Elsa, the housekeeper, made us a fantastic Bajan meal while we there and it was delicious. You could smell the food on the beach while she was cooking, it was so good. Elsa is a lovely treasure to have around as she is able to keep the house organized and clean without anyone even knowing she is there. It is like having Mary Poppins along. Ursala is an excellent property manager. She was prompt, reliable and professional in every possible manner throughout the rental process. We are planning many returns to Southwind. I hesitate to recommend it in case you take our spot !!! Thank you very much for your great review. We are looking forward to welcome you again in Villa Southwinds. This was our second visit to Villa Southwinds and it was just as lovely as the first time around. We have rented a number of different villas over the years and the location of this one cannot be beaten. The gate from the garden opens right out onto Gibbs Beach which is beautiful and never busy. We walked round the corner to Mullins Beach if we wanted to arrange water sports and then they came and picked us up from right outside our villa (water-skiing and sofa surfing this time round). The house itself is spacious and has a well-equipped kitchen as well as an outside gas BBQ. Elsa keeps the house immaculate and looked after us wonderfully. She helped to make our holiday truly relaxing. The flowers in the garden attract hummingbirds as well as other visitors. There are lots of comfortable sun loungers for relaxing in the sun or shade. Ursula is also a joy to do business with. She was very helpful before and during the visit and a mine of information about Barbados. We have already booked Villa Southwinds again for next year and can't wait to go back! We have just returned after a wonderful 12 days at this villa. The deposit payment for the booking went smoothly and we were constantly in touch with Ursula long before our trip. She was very helpful and we were happy to have taken the taxi option she suggested. We made a supermarket stop on the way to the Gibbs beach, which was included in the taxi fee. This proved to be invaluable as there was only salt in the villa. We managed without a car for the 12 days and used taxis 3 times to go inland. Otherwise the yellow buses go to Speightstown. Holetown, Bridgetown and many beaches. You just wave them down. 2$ barbados pp. Our favourite room was the beachfront room for playing cards. I saw a turtle stick its head out in the sea from this room and was able to run out and snorkle with it. The Only downside was that you can hear the traffic in the bedrooms, but earplugs solve that, otherwise we were more than comfortable and all of the properties on the west coast are near this road. I wouldn't hesitate to return to Southwinds it is an incredible bargain for its situation and comfort. My daughter and i are quite nervous about security, but this villa is very secure and we walked along Gibbs beach at night to spot pencil fish in the water with a torch, without fear. We have had a wonderful holiday in Villa Southwinds. This is our 20th year visiting Barbados and we often hire private villas and apartments. This Villa is up there with the best, being excellent value for money when you look at the exclusive neighbourhood and simply beautiful beach with direct access from your own private terrace. The house is much bigger than it looks on the photos and the master bedroom and bathroom have just been refurbished most tastefully with shaker style furniture in Farrow & Ball shades. The kitchen is well equipped and easy to cook in, but we made use of the superb Webber gas BBQ most days either for lunch or dinner, buying fresh fish from the nearby market on the road side. The Beach although a little narrow when we were there due to recent stormy weather, was stunning and as there are no bars on the short stretch so it was free from overcrowding. The lively beach at Mullins has a great bar and plenty of activity if you want to take the short 5 minute walk along the beach. The water sports guys will take you on rides from the villa if you just hail them on their way past which is great. My dealings with Ursula were easy and efficient and she could not have been more helpful. Elsa the housekeeper is a real gem and keeps the house immaculate but without intrusion, such a lovely person. In all this Villa is a real find and we will return in the near future. Joanne, thank you very much for your booking. We are looking forward to welcome you again in Villa Southwinds Barbados. 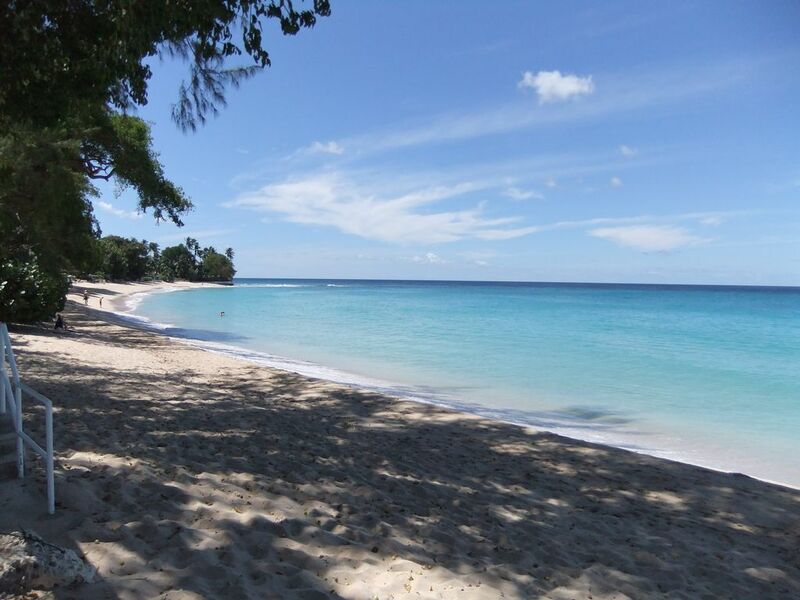 This property is located off the west coast main road (highhway 1) between Holetown and Speightstown . There are one or two local shops and rum shops in the area, but the nearest shopping district is Holetown (about 10 minutes south by car), there you will find the new lime-grove mall, cave shepherd and the larger west coast mall, which will have supermarket, bank, photo center, duty free shops, video rental, and various other shops and boutiques. Also close by is the chattel house village, a series of traditional looking Caribbean cabins selling souvenirs of all sorts, the twenty four hour sandy crest medical center and a market stall, where you can buy fresh fruit and vegetables. The town also has a gas station (as petrol stations are know locally) which has an in-store mini-mart and a outlet (KFC), there are also restaurant within 15 min drive along the main west coast road in either direction.